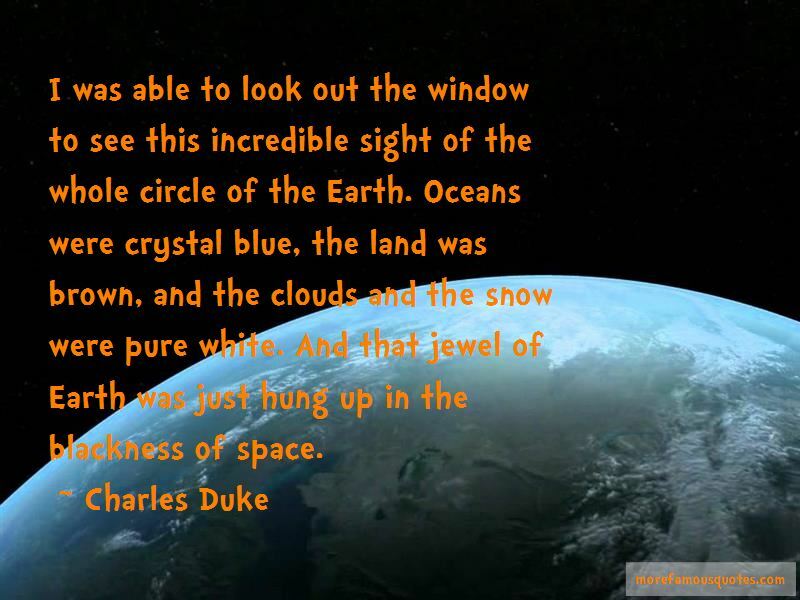 Enjoy the top 19 famous quotes, sayings and quotations by Charles Duke. 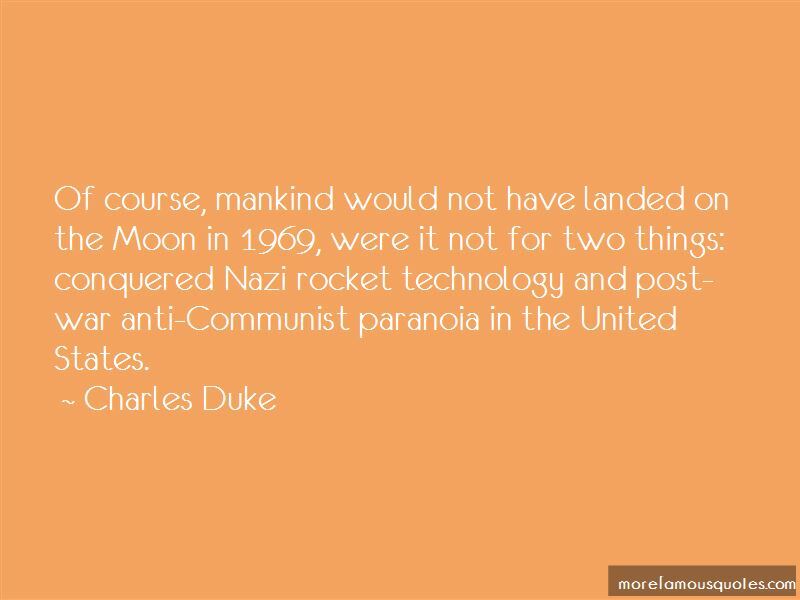 Of course, mankind would not have landed on the Moon in 1969, were it not for two things: conquered Nazi rocket technology and post-war anti-Communist paranoia in the United States. I always respected Neil Armstrong highly. He was probably the coolest under pressure of anyone I ever had the privilege of flying with. I never saw him flustered. Roger, Tranquility. We copy you on the ground. You've got a bunch of guys about to turn blue. We're breathing again. Thanks a lot. We've been to the Moon nine times. Why would we fake it nine times, if we faked it? 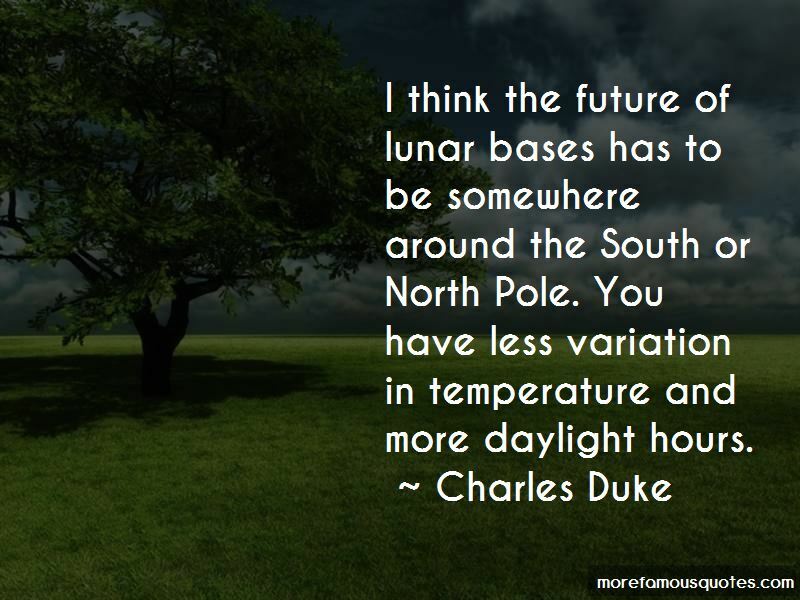 Want to see more pictures of Charles Duke quotes? 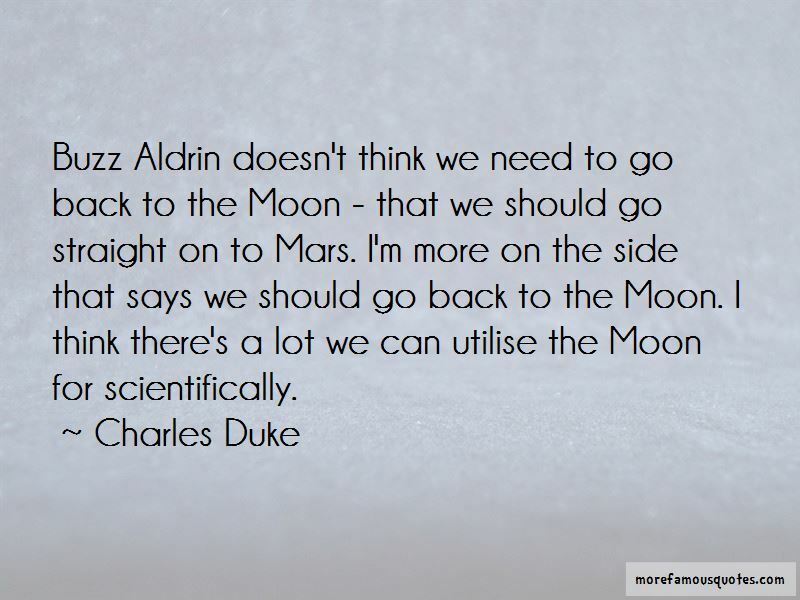 Click on image of Charles Duke quotes to view full size.